"Who Knows What Evil Lurks In The Heart Of Men? 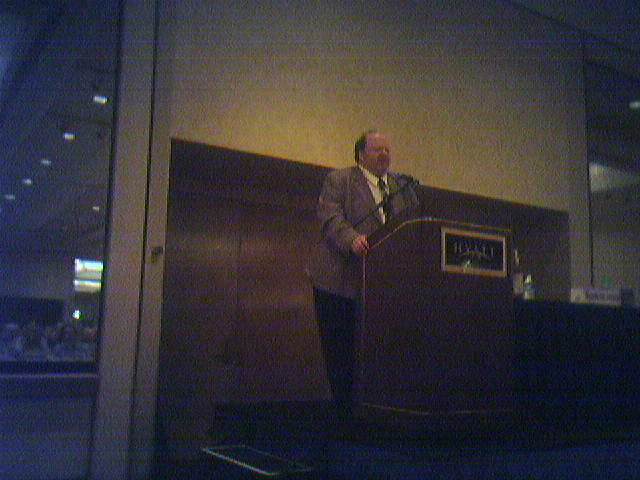 "TM As a man who has seen the dark side and has embraced it, I give you my journeys and thoughts as I travel through life. 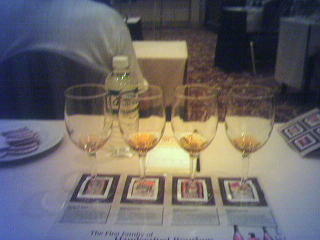 Join me!! As was mentioned earlier, The Shadow has a penchant for the finer things in life -- good cigars, good women, and good booze. This is why I succumbed to the darkness -- to be able to enjoy these items. 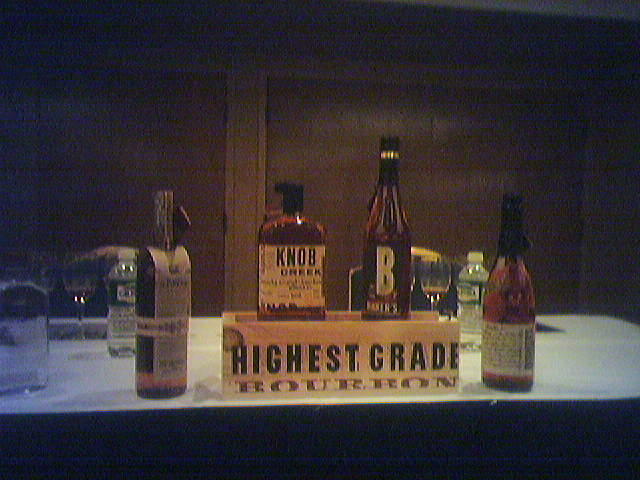 Yesterday evening, The Shadow was among a group of bourbon enthusiasts in a downtown San Francisco hotel enjoying the tastes from the Knob Creek distillery. 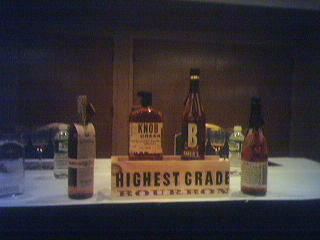 The tasting consisted of the four small batch bourbons from Knob Creek: Basil Hayden, Knob Creek, Bakers, and Bookers. A good time was had by all. As a final souvenir, I received an empty Booker bourbon bottle that was signed by Mr. Noe himself! Click the link below to see more pictures from the event. 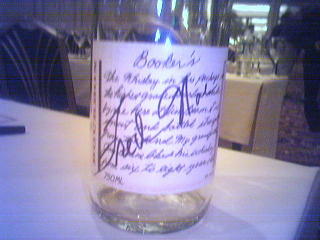 That Booker's was damn tasty. If I had some right now, I'd pour it over my cornflakes for a fine breakfast.